"For Honor! For Glory! For Cybertron!" 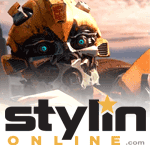 Vector Prime is one of the first Transformers. 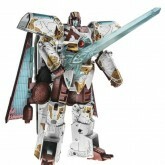 A powerful, wise and incredibly ancient warrior, he has served as protector over Cybertron since its beginnings. 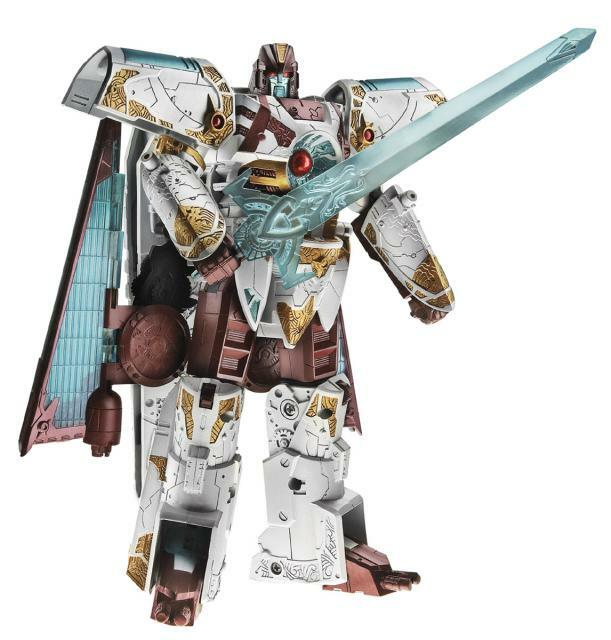 Pulled out of the shadows of time by a distress signal broadcast by his damaged planet, he arrives too late to save Cybertron without assistance. Arising from an era in which all Transformers lived in harmony, he is unaware of the conflict between the Autobots and Decepticons, a fact that Megatron uses to trick him and steal the map to the lost planets and the planet keys. 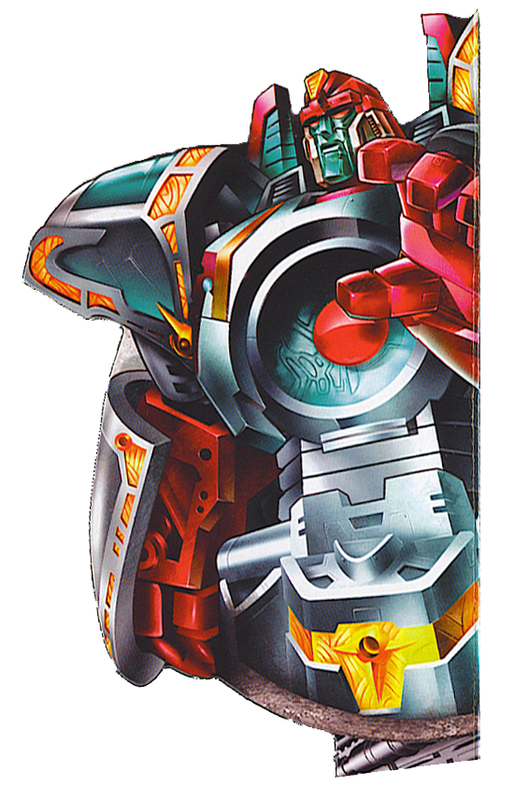 Realizing his mistake, he joins Optimus Prime and pledges his knowledge and skill to the desperate quest to retrieve the planet keys before Megatron. 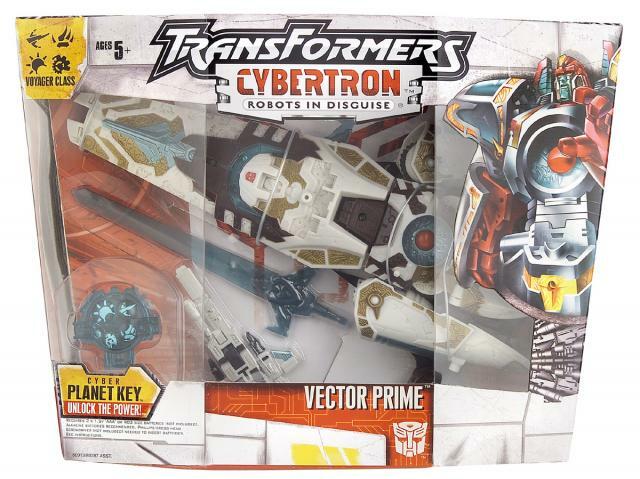 Vector Prime with Safeguard toy information. 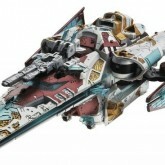 Vector Prime with Safeguard parts information. 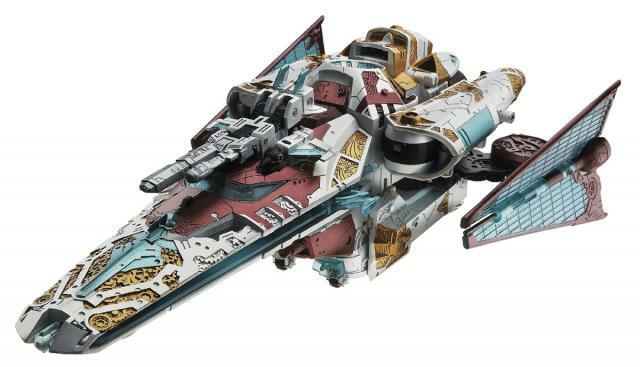 Vector Prime is a Transformer from the earliest days of Cybertron's history. 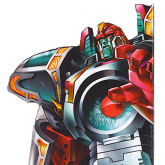 There is a legend of 13 original Transformers, built by Primus before he took the shape of the Planet Cybertron. 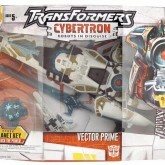 It has been rumored that Vector Prime is actually one these original 13!